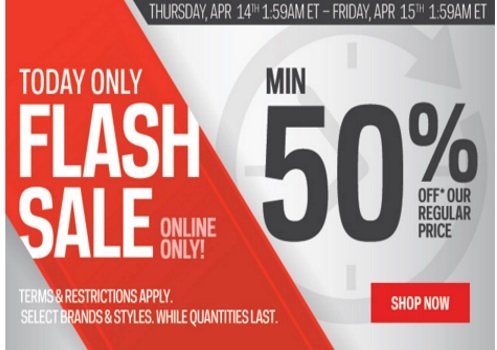 Sportchek has their popular one-day Flash Sale on today again! Save a minimum of 50% off on regularly priced items on select brands and styles! Offer is available while quantities last, online only! This offer is valid today only, Thursday, April 14-Friday, April 15 at 1:59am ET. Free shipping applies on all orders too.